Jobseeker Visa Germany. Three short words paint a picture of hope, risk and bureaucracy. 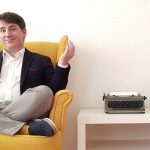 I will answer your most frequent questions like Germany jobseeker visa success rate or the exact amount of money that proves: you can cover the costs of living in Germany. I will help you answer the four topics of the cover letter that you have to present to the German embassy together with your jobseeker application. “Me” – that is Chris Pyak. I am a German business coach who introduces international professionals to German employers that hire in English. My clients are international professionals like you. They seek my guarantee to get a job offer in Germany within six months. Exactly the time that Germany jobseeker visa are valid. 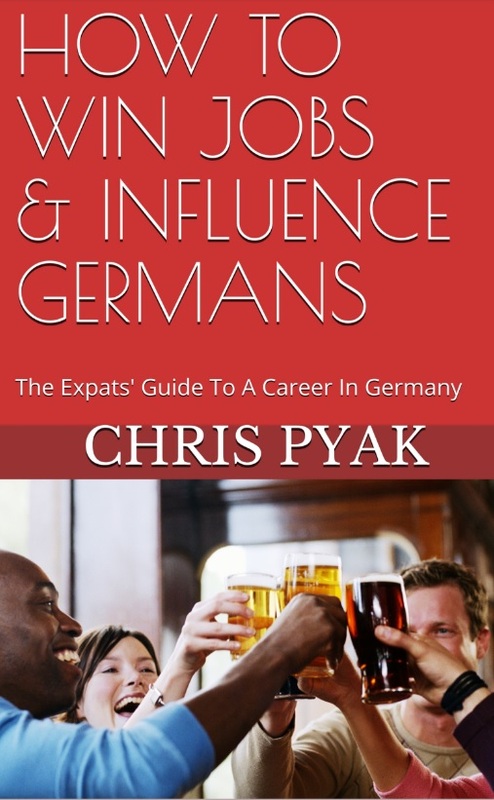 Over the course of the years I helped hundreds of expatriate find English jobs in Germany. 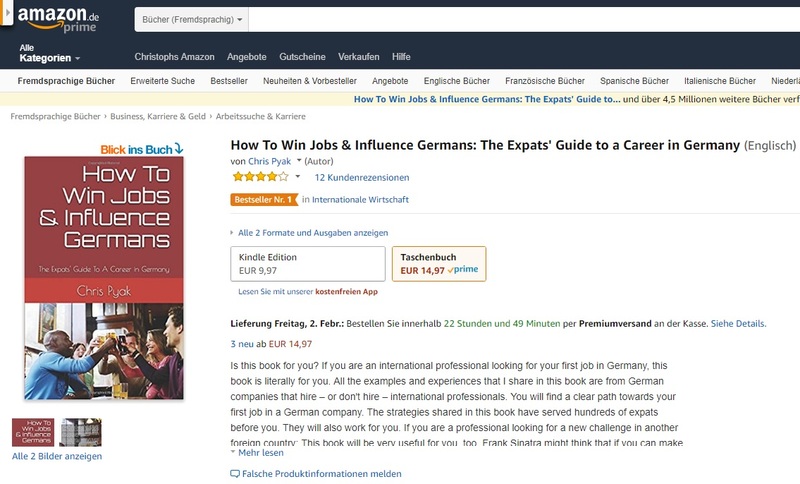 My book “How To Win Jobs & Influence Germans” is usually #1 or #2 in the Amazon bestseller lists for career advice in Germany (English). If you think: “That sounds way too easy” – then you are right. The law states the general rule, but the practical implementation of the Germany jobseeker visa is governed by an additional set of rules. The so called “Visahandbuch” of the German ministry of foreign affairs. This guide book instructs employees of the embassy on how to implement jobseeker visa Germany requirements. or work contexts inevitable”, states point 2.1.3 of the Visahandbuch. This is one of the few cases in which a government is more progressive, than the entrepreneurs. Only 1% of German companies hire in English – so it’s quite hard to find English speaking jobs in Germany. If you have a place to stay or other means to lower your costs: Then this can be taken into account. Please read carefully: “can“, is not “must“. As an alternative you can also ask a friend who is already living in Germany to give a written guarantee (“Verpflichtungserklärung”) to cover your costs of living. In this case your friend needs to prove that he has the funds to support you. (The internal rules of the ministry of foreign affairs state clearly that your friend has to “prove” his funds. The rules also state that this is only acceptable as a rare exception. There seems to be a contradiction between practice and rules when it comes to accommodation in Germany. Some embassies, like the German in India ask for proof of accommodation, while the rules in the Visahandbuch clearly state: “A proof of accommodation is not one of the regularly required documents.” (2.2 Securing a livelihood). The embassy can ask for a proof of accommodation in special cases, though – if it is necessary to confirm your ability to provide for your own living costs in Germany. You need a university degree “of equal value” as a German university degree. (unless you have…a German university degree) in order to secure a jobseeker visa Germany. There are two ways how you can provide this proof. One is free, the other one costs a little money, but has the benefit that you can use it in your job application in Germany. Free proof of academic qualification. Anabin is a German government database that is organised by the 16 states of Germany. It includes every university and degree of any jobseeker that ever applied for recognition of their university degree. If your university and degree is rated H+: Then you are golden. All good. If not, then it can get complicated to get a jobseeker visa in Germany. PS: The German embassy will use this same database to check your documents. Unfortunately the database is completely in…German. Ask the Central Office for Foreign Education to evaluate your university degree. This is a German government agency. They will certify your university degree as “of equal value” with a German education. It costs 200,- EUR and can take up to three months. Personally, I recommend that you go with the ZAB (Central Office for Foreign Education) – since this is a document that you can also share with potential employers. Which brings us to the final hurdle to a jobseeker visa Germany. You need to write a motivation letter (cover letter). This letter is a very important document, because the German embassy will consider how plausible your request for a jobseeker visa is. They even have a name for this: “Plausibilitätsprüfung”. The cover letter alone is not sufficient to deny you a jobseeker visa Germany. But it can tip the scales against you, if you fail to explain the “exact purpose, course of action to find employment and duration of your stay in Germany as well as further career plans should stay in Germany by unsuccessful” as the German Mission in India writes. I must say: In this case I agree with the bureaucrats: You need to have a concrete plan on how to get a job in Germany. As a business coach I have supported hundreds of international professionals finding a job in Germany. Your competition for the few English jobs in Germany is immense. More than one million foreigners move to Germany every year. They compete for just 22.000 English jobs in Germany. That’s fifty times more foreigners than English speaking jobs. I used to recruit for trivago in Düsseldorf. 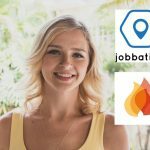 This company hires and works in English – and gets 40.000 job applications every months. How do you intend to beat 40.000 other candidates for the same job? In your cover letter for the jobseeker visa Germany you need to explain in detail how you want to achieve this goal. “I hope” will not convince the bureaucrat who decides if you get a visa or not. But even more important: Without a plan you have little chance to achieve your goal and build a successful career in Germany. Over the years I have helped hundreds of coaching clients to find their next job in Germany. I worked with professionals from all over the world. 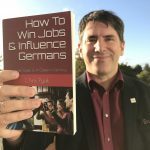 Thousands have read my book “How To Win Jobs & Influence Germans” and used the strategies that I describe to secure an English job with a German company. 1. A jobseeker visa Germany checklist. All documents that you need. 3. 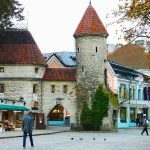 Additional tips and live podcasts with German employers who hire in English. Jobseeker Visa Germany. Get a realistic plan by Amazon “Bestseller” author Chris Pyak. Get a free checklist and a concrete plan for your job hunt in Germany.